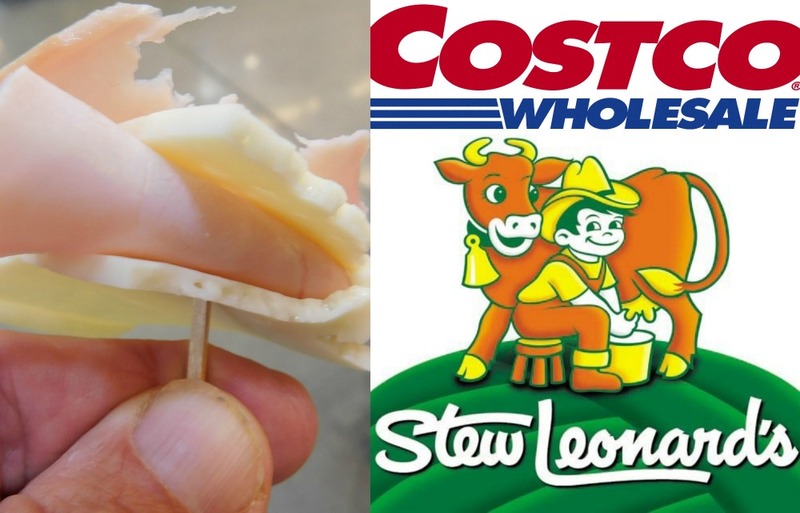 Costco Vs. Stew Leonard's "Samples" Thowdown: Who's The Winner? People love Free. Almost as much as they crave Food. Which explains why CTBites decided to pit Costco in Norwalk against Stew Leonard's in Norwalk, both famous for their generous grocery samples, in a Full-on Free Food Fight. There was a clear winner. And it wasn’t the store we thought it would be. While Costco is a membership warehouse, and Stewie’s a sui generes grocery market, both strive to enhance their customers’ in-store shopping experience -- more so than traditional supermarkets. SL offers family centric petting zoos, animatronics (including a singing banana), bargain dairy, even free ice cream or coffee (with a $100 receipt). Costco’s Dog Deal ($1.50 for a jumbo wiener and refillable 20 oz. soda) lures crowds, as well as its cheapo Rotisserie Chicken (4.99) and discounted movie coupons. But the stellar attraction at both stores is their free food samples, ranging across the grocery spectrum, from seductive chocolates to addictive chips to mouthwatering burger bites to exotic beverages. Some are surprisingly delicious, others far less so. Many customers make a meal of the handouts, openly or surreptitiously going back for seconds and thirds. There are rumored scallywags who augment, even sustain, their yearly diets, on this bonanza. But don’t kid yourself. Samples are hardly a free lunch. The small tastes are calibrated to whet appetites and thus spark sales, by an amazing average of 80%. Primetime for Freebies peaks around lunch hour on Saturday, which is precisely when we opened the competition. First up was Costco. Here are some high and low lights. PETER & PAT’S PIEROGIES. The elaborate stand was manned by no less than three attendants, working for CDS, a San Diego based marketing firm that supplies most of Costco’s in-store demonstrations and give-aways. A nearby freezer featured frozen packages of this Polish mainstay. We sampled four different flavored potato dumplings: mushroom-parmesan, bacon-cheddar, spinach, and cheese. Verdict: the flavors were indistinguishable, largely overwhelmed by the boiled potato crescent. We saw no customer head from the station to the display. DRY RUBBED ST. LOUIS STYLE RIBS. In contrast, these flavor-packed and generously portioned pork ribs were by far the tastiest and most satisfying sample in the store. 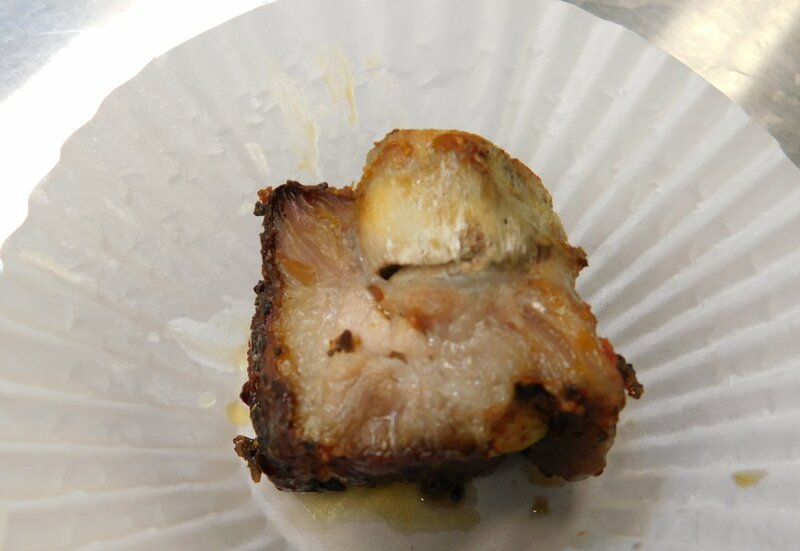 Par-cooked, the ribs were finished inside an oven at the station to 145 degrees, which the attendant carefully measured with an insta-read professional thermometer. Moist, falling off the bone tender, the rib was literally lip smacking good. We went for seconds, you know, for scientific purposes. Almost everyone who tried the sample hurried to the refrigerated display case to pick up a package. A butcher told us the pork rib samples have mounted over a hundred pounds a day and sales have skyrocketed. NATHAN’S ALL BEEF UNSKINNED HOT DOGS. Presented unadorned in a paper portion cup, flanked with neither bun nor condiments, the thumb sized wiener bit, browned to perfection by the attendant, jumped with flavor. Not being a fan of Nathan’s, we were surprised by the spice, smoke, and snap. The refrigerated case behind the stand displayed 12 different brands of dogs, including Costco’s own Kirkland logo. But motivated by the sample, customers seemed to be selecting Nathan’s over all others, including our favorite, Hebrew National. We might give Nathan’s another chance. VITA COCO COCONUT WATER. Though considered healthy hydration, coconut water hardly ranks as a flavor bomb. It is best imbibed in a smoothie or cocktail, eaten in a pastry, even used as a moisturizer in your bath. In isolation, such as a sip from a paper portion cup, the flavor tastes too subtle. The station attracted no crowds. Those that did try a sample seemed to be more curious than thirsty. “I’d never pay 10 bucks a quart for that swill,” one woman complained to her companion. For another it seemed a good deal, and she placed a package in her full cart, not bothering with the sample. YAKISOBA STIR FRIED NOODLES WITH VEGETABLES AND A SAVORY SAUCE. Before trying our sample, we asked the attendant about the product. She was quite knowledgeable, explaining that this ramen style Japanese noodle – despite its name – is not made with soba (buckwheat) but with regular wheat flour. She heaped a healthy portion in the cup which required us to spin four or five forkfuls to finish the ample serving. Though not noodle bar quality, the yakisoba was slurp-worthy, vegetarian, and a distinct step up from those cheap packs of ramen nuked in college dorm rooms. DIETZ & WATSON UNCURED LITE HAM WITH ARLA SLICED HAVARTI. A thin slab of salty ham wrapped in a slice of creamy cheese, then speared with a toothpick skewer, this beguiling sample almost looked like a corsage and easily won the presentation sweepstakes at Costco. The meat and cheese combo could have served as passed Hors d’Oeurves, and it tasted even better. This station should have been placed at the front of grocery aisles. The ham and cheese would have served as the perfect appetizer for the buffet ahead. TYSON PANKO CHICKEN NUGGETS. Five years ago these sodium bullets were recalled from Costco stores because of contamination from their plastic packaging. They should have been recalled for over processing. Too salty, too bready, too greasy, they merited just a quick nibble. Perched on a toothpick like a lemon lollipop brimming with carbs, calories, and fat, Tyson’s nugget is a throwback to the kitchens of the ‘80’s. Nonetheless, kids in the store couldn’t get enough of the samples. They begged their parents to grab a package from the freezer case. Some moms did. Many did not. TOMATO AND MOZZARELLA ON GARLICY BREAD. Before we even got through the doors, an attendant greeted us at the outside produce market, handing us a sample bursting with late summer flavors: sun-kissed tomatoes, fresh mozzarella, and a square of just baked garlicy bread. Unlike the subcontracted attendants at Cosco, he was a Stew Leonard employee, genial and well trained. “The tomatoes you can buy out here,” he advised. “The bread is still warm in the bakery, the mozzie was made this morning in the dairy.” A delicious start. POTATO CHIPS. Usually the sweet, spicy aroma of cinnamon donut samples beckons shoppers just a few steps into the store. Not that Saturday. In fact, we didn’t reach another station for nearly two aisles. There, at an unattended table, a sign urged “HAVE A TASTE.” Next to it sat a bowl of plundered home made potato chips. There were only two left. We took one. It was thick, rustic, and nicely salted. Delicious and totally addictive. So easy to try the other one. We resisted. The shopper behind us picked up the lone remaining flake, crunched down, and said “Pretty good,” to no one in particular. He then flipped two bags of the chips in his cart and jaunted down the soda aisle, choosing a six pack. Strategic placement. Chips make a shopper thirsty. One Sample. Two buys. CHICKEN BURGER. For the nonce, we won’t quibble about whether a paddy needs to be beef to quality as a burger. In 2018 food-speak, most any hot protein nestled inside a bun seems to qualify. So we asked the attendant what she called the ground meat she was cooking at her station. “Chicken burger,” she replied without hesitation, then elaborated. “Mostly breast meat. Raised humanely, from around here.” We tried one. Surprisingly robust, juicy and tasty. We almost reached for a package but didn’t. Duty called. TRUFFLE PARM DIP. Under a sign that read “Try Before You Buy”, an attendant adroitly spread a creamy dip over dark blue corn tortilla chips. Truffles, parm, and chips. A taste, texture, and tang trifecta. Most customers tried. Many bought. Stew’s bills itself as the “World’s Largest Dairy Store,” which explains why this station and the next two offered dairy based samples. CHEESES. Robert Willis missed his calling. Instead of an ambassador for the cheese company, "Sincerely Brigitte " he might have forged a career as a food stylist. The artistic and appetizing array of cheeses, grapes and local berries that he had arranged across two tables was ready for its closeup. Ranging from chipotle to tomato olive to wasabi, 8 different flavors, cut into exacting 1 inch chunks, were being plucked away by a horde of customers armed with toothpicks. Dazzling and Delicious. This layout was easily the most visual and mouthwatering presentation of any sample station in both stores. And Willis, though not a SL employee, is a local guy who’s been coming to the store since he was a kid. FRUIT JUICES. The final in-store station, like the first, was unattended and un-announced. It bore no sign inviting shoppers to sample. Just two dispensers of colorful chilled juice, flanked by a tray of half inch plastic sipping glasses. For Stew Leonard vets this is a required stop at the end of the long one-way maze that winds through the store. At times customers line up, waiting their turn. The juice is refreshing and cold, a calculated picker upper for the weary customer -- wilted after all the shopping, sampling, and selling. Which is why the station is positioned as a gateway to the refrigerated cases packed, of course, with Stew Leonard half gallon juice cartons. Most marketing experts regard Costco as a leader of American retailing.  And it certainly is considered the Icon of strategic sampling. No question, we witnessed customers eagerly flock to the groceries upon entering the store, then crowd around the hand-out stations. Penn Teller considers their sampling magical, and admits to bringing dates for lunch at his local store. No question, Costco and its subcontractor CDS, have turned sampling into an art form. We thought their Rubbed Pork rib samples were the most delicious we tasted that Saturday in either store. But many of the other samples tended to be less than scrumptious, and one, the chicken nugget, sort of disgusting. In our mind, many of the samples were influenced and inspired by the region, providing – literally -- a “Taste of Connecticut.” That is why CTBites crowns Stew Leonard’s as the King of Samples.